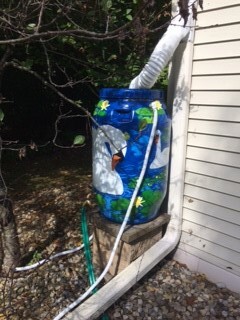 Installing rain barrels to catch rain water runoff from your roof during a storm prevents that water from adding to the runoff that causes pollutants to be picked up and deposited into our rivers and streams during a rain event, and also helps reduce flooding. An added benefit: You have stored rainwater for plants during dry periods. 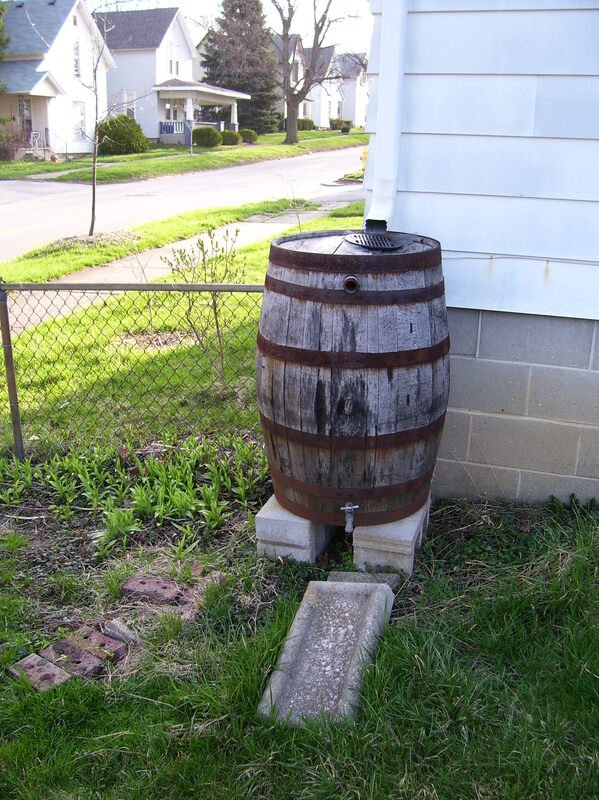 If you pay the Greater Elkhart County Stormwater utility fee (billed with your property taxes) you are eligible for the Rain Garden/Rain Barrel incentive program. 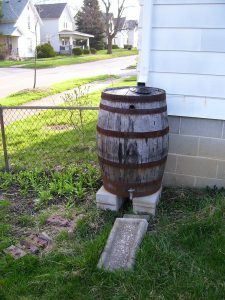 The Greater Elkhart County Stormwater Partnership will help homeowners install rain gardens and rain barrels in most of Elkhart County. 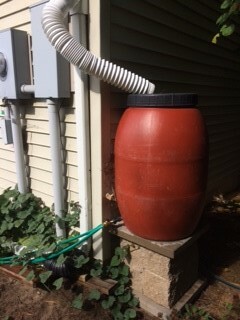 For homeowners who qualify, the program can reimburse up to $250 for rain garden plants and up to $50 per rain barrel (maximum two rain barrels per parcel). This incentive program is being funded in 2017 for the 8th year. The program comes as a result of stakeholder input into the Partnership’s stormwater fee. The program is open to anyone in Elkhart, Goshen, Bristol, or unincorporated areas of Elkhart County. These are the areas where residents pay a stormwater fee to fund the Partnership’s programs. You Want to Do Your Part. We Want to Help. The application is available at the Elkhart County SWCD office or at the links below. Approval will be given on a first-come, first-served basis while funds last. In order to qualify for reimbursement, applicants must also attend a workshop on rain gardens and rain barrels.